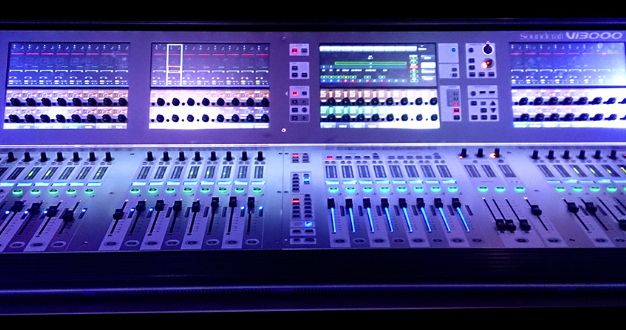 It was a sunny day in May when I took the train to leafy Letchworth to get my first look at the latest addition to the Vi series of Soundcraft digital live sound consoles – the Vi3000. It shares all of the key features of the Vi series (i.e. Vistonics, FaderGlow, Lexicon FX, BSS Graphic EQs, etc.) which are well documented elsewhere so I’m not going to go into too much detail here. I’m much more interested in where it differs from previous models and what additions have been made. My first impression was that of a slightly truncated Vi4, it has the same four touchscreens and four fader bays but is slightly smaller, more compact – feeling somewhat more business-like. My investigation starts around the back where I notice four in built 16 way XLR I/O modules which can be configured in any combination as long as you have one module of input and one output (typical use would be 48 ins and 16 outs). Then it dawns on me that this is a completely self-contained console – no external stage box or DSP "brain" required. This is a departure from the Vi series 3 part model of control surface, local rack and stage box (with the obvious exception of the Vi1) and makes it great for touring venues which employ hard wired analogue multi-cores. I am reliably informed that the pre-amps are the latest Studer models, superior to those on the other Vi series models, although I am not able to test the voracity of this claim. For those who prefer their digital snakes you can add MADI stage box expansion cards to utilise Soundcraft stage boxes. A glance across the rest of the back panel connectors reveals a wealth of options, the usual MIDI, USB and Ethernet connectors are there alongside 4 channels of AES/EBU and a DVI output (for future use). But the ports that will get most engineers a little bit more excited than perhaps they’re willing to admit is the in-built MADI and Dante interfaces which effortlessly open up the possibilities of multi-track recording, virtual sound checks and external plug-in hosts (the console even comes with a licence for the Audinate Dante virtual sound card software which means all you need is an ethernet cable to connect 64 channels of I/O to a laptop). 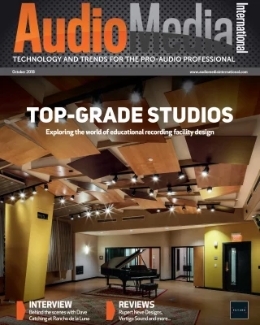 There are also two expansion card sockets which enable further connectivity to MADI, Dante, RockNet, AES/EBU, EtherSound, BLU link, Cobranet, A-Net, Dolby E, SG SDI and ADAT – the kind of connectivity options that make broadcast engineers drool. Back around the front and its mostly business as usual for those familiar with the Vi series. The new version 4.8 software looks very nice having done away with those clunky grey channel overview borders and added a bunch of neat 3D and lighting effects. Such things are purely cosmetic of course but it gives the sense of a platform moving forward and suggests it may fare better in outdoor / daylight situations. 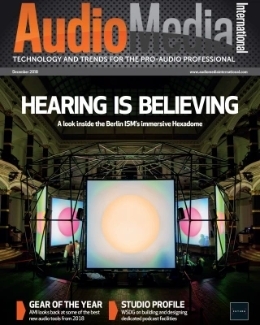 There are quite a few significant improvements in the new software aimed squarely at monitor engineers. 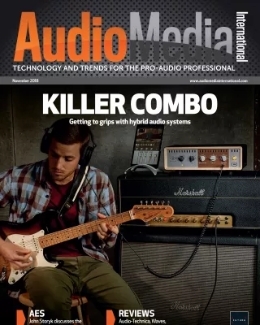 The flagship feature being the ability to convert all 32 of the busses to stereo which provides a comfortable buffer of future proofing for the proliferation of stereo in-ears and the increasing demand for more mixes. This does not mean that you can have 64 mono busses – all the busses are by default stereo but one side is "hidden" when used in mono mode. The aux sends can also now be sent from four different points in the channel: pre EQ, pre compressor, pre fade and post fade which is configurable on a per channel / per bus basis – handy for tailoring monitor mixes for fussy performers and particularly useful when mixing monitors from FOH. Then there is the more powerful Aux VCA mode which enables greater control of the aux sends from the VCAs for such things as controlling groups of sources or riding ambient mics. The new software also includes stereo matrix busses (16 of them), post fade insert points (useful for conference style auto mixing software), gate/duck external source (i.e. from a bus) and that key feature that we’ve all been waiting for – colour channel label displays (in 6 colours)! It is worth noting that the 4.8 software is now available for all Vi series consoles (with limits on the Vi1) but you will only be able to access all the new features if you have the full complement of DSP cards installed on the Vi2/4/6 (see the Soundcraft web site for a handy chart on DSP requirements). All of this is powered by Soundcraft’s SpiderCore DSP, a brand new 40 bit floating point DSP engine which is compact enough to fit inside the control surface whilst being powerful enough to run all of the new features of the 4.8 software with a noticeably impressive boot up / restart time. However I was slightly surprised to discover it only includes four stereo Lexicon multi effects – then I was introduced to the optional Realtime Rack. 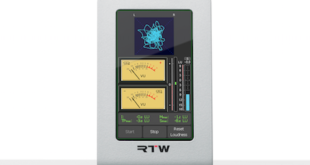 The Realtime Rack is a simple white 1U rack unit which enables you to run 16 channels of effects processing via an optical MADI connection (which explains why one is included as standard pm the Vi3000). 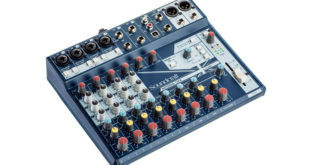 The rack runs Harman and Universal Audio plug-ins and comes in two flavours, Core and Ultimate, the former capable of running 14 plug-ins and the latter 74 (the assumption being that hire companies will have the full complement whilst individual users can pick and choose their favourites – which they can then easily travel with). It’s a neat idea which gives users access to a mature catalogue of effects processing and brings the Vi3000 into direct competition with certain other consoles which provide third party plug-in support. You do however need a Mac to run it (via Thunderbolt) although the Mac passes no audio – it’s just used for control. The demonstration model came with a large touch screen which makes operation very straightforward and brings back memories of those analogue days when you turned to the side to access your rack. Close integration with the host console enables full storage and recall of effects parameters in snapshots. 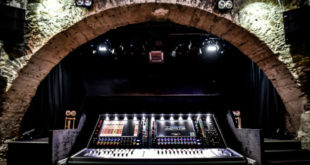 So it appears that Soundcraft have managed to squeeze an awful lot into a modest sized chassis, building on the solid foundation of the Vi series and offering a truly unique and versatile console. 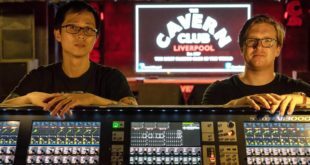 Vi consoles have proven popular at FOH but they have yet to make in-roads into monitor world which is something Soundcraft have tackled head on with a lot of the new features in the 4.8 software. To take full advantage of this console you do need the Realtime Rack because without it you only have 4 stereo multi-effects which some user will find are simply not enough. The big question that many people will be asking is where does it sit in the Vi series? On the Soundcraft web site it sits neatly and numerically in the middle, chronologically it came after the Vi1, financially it sits almost exactly in the middle of the Vi1 and Vi4. So in a sense it’s a Vi3 only with added zeros – which suggest the Vi series has moved on and evolved.